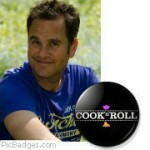 Our fourth “Follow them Friday” features GREG from Cook’n’Roll blogs amazing recipes in French. At the time I was juggling between two passions: food and roller blading; a healthy combination when I think about it! Hence the obvious name Cook’n’Roll! In the end I never published anything on roller blading as I originally planned. Involtini di melanzane. It’s easy to make plenty, oven cooked, and I love the combination of egg plant, minced meat and parmeggiano. Bibimbap! Is that comfort food? For me it is! Rice getting crispy in hot stone bowls, topped with sautéed veggies and marinated meat; it’s hot, spicy, flavorful, totally comforting! A home-made vanilla ice cream, eaten out of the ice-cream maker bowl. 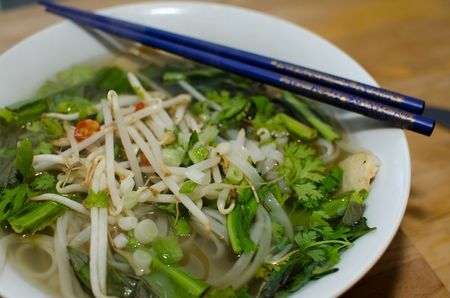 Thaï food I think. With Touta at Mmmmh! Being able to cook my own Red curry duck, or fried beef with Thaï basil, convinced that I had to do more! My first gnocchi. Flavored with spinach. The dough was sticking everywhere on my hands, kitchen, apron, and finally… bin! My mum’s curried chicken maybe?! She and I still cook her recipe, which is my favorite.